Please have a look at this post, and vote if you did not do this before. Thanks. just a short question – did you set up the Arduino Environment as described in the setup manual (you con download it here)? There is a folder called “ArduinoSDK-AddOn” contained in the CineMoco download where you will find the manual as well as all needed files. will this work on the Arduino Mega 2560? If you are talking about the original miniEngine or the coneMoco, then “Yes”. Both are Arduino compatible. But my “Select” key wont work… alas I can manuver in the menu but not set anything… Is there anything I need to fine tune for button press reading to work or is it maybe a broken button? “#define key_x_value” numbers to match the voltage dividers for the keys. So now it works great. Thanks for a great miniE shield, Airic! I cant wait for your next version to come! Great to hear that you fixed it! If you want you can post the figures for the different values that worked for you on the forum. Hey Bent I’m having the same problem that you had with DFRobot LCD v1.1. Can you please post a picture with the modification that you had made in the sketch? Is it possible to use to use the miniEngine, so that the motor is continous powering without the steps between? Because I am a filmmaker and i want to use this to let the slider move from one end to the other in only some seconds without the steps in between. Just found your project and I am about to dig in! I would like to build a controller for both time-lapse and video. Keeping thing simple I would like to start with the miniEngine1. Is this still supported or all the attention is on miniengine2? 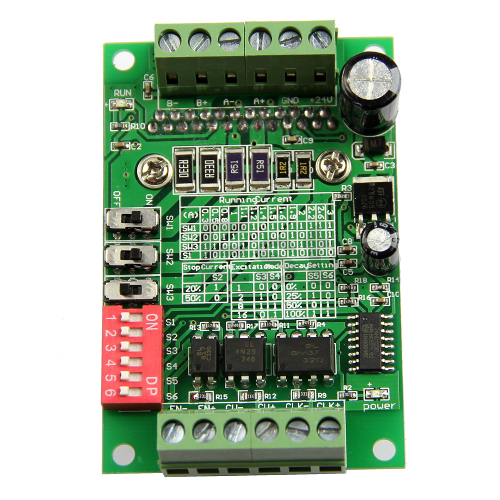 Do I need the shield or I can get away with connecting the easy driver to Arduino directly? This is a great project. Well done! the miniEngine 1 is still supported. If you want to do video though, I recommend the miniEngine 2 as the original version is not capable of doing steady and smooth video moves. In both cases you’ll need a shield. Everything you need is available in the shop. Hi. Sorry for my bad english, it’s not my native language. I’ve got a question – is it possible to use your code with arduino uno, but without lcd and with different stepper controller (http://electropark.pl/img/cms/moduly/ster_silnikow/tb6560_1.jpg TB65060AHQ)? Of course, with a changes of your code.